Discount Magic - Porthole (DVD and Gimmick) by Darryl Vanamburg. Stop what you're doing right now and WATCH THE TRAILER. You'll see a punched hole MOVE, BY ITSELF, from one end of a card to another. The card is signed and given away after the effect. Never, EVER, has a moving hole effect looked so visual. 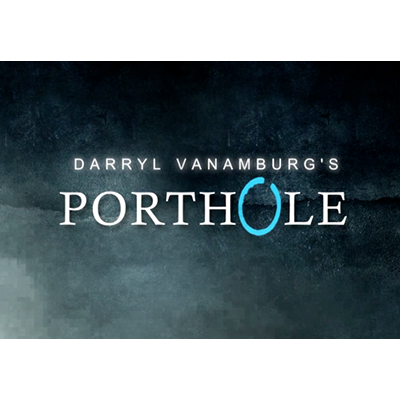 Porthole (DVD and Gimmick) by Darryl Vanamburg Stop what you're doing right now and WATCH THE TRAILER. You'll see a punched hole MOVE, BY ITSELF, from one end of a card to another. The card is signed and given away after the effect. Never, EVER, has a moving hole effect looked so visual.